This entry was posted in 2015 Press: reviews / interviews / features, literary fiction and tagged #9/11novel, Big Agriculture, Big Pharma, childhood obesity, DIY politics, Intelligence Industry on September 4, 2015 by VN Alexander. 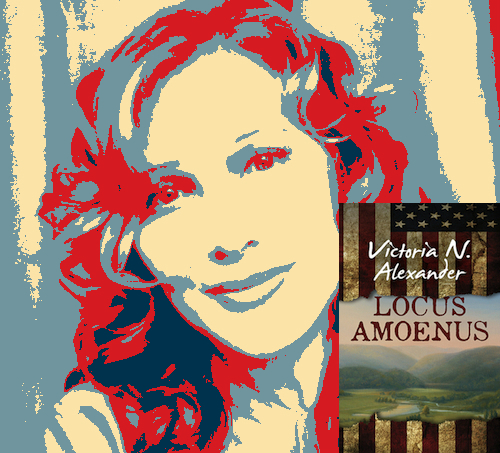 Political satirist, Victoria N Alexander has a new novel entitled, Locus Amoenus, a literary term that refers to a beautiful pastoral paradise where nothing bad can ever happen. Set in the nearby Harlem Valley region of New York, the story involves a 9/11 widow, Gertrude, and her son, Hamlet, who move to the country to run a sustainable farm. Unfortunately, they find their neighbors prefer the starchy products of industrialized agriculture. On the 8th anniversary of Hamlet senior’s death, Gertrude marries an incompetent federal bureaucrat named Claudius, who tries to get the eighteen-year-old Hamlet to “move on.” As Hamlet is becoming more and more disgusted by the hypocrisy of the adult world he’s entering, Horatio, a conspiracy theorist, tells Hamlet that his new stepfather is a fraud and something is rotten in the United States of America. With gallows humor, Alexander looks at the tragedy that is contemporary post 9/11 politics, as it plays out in small town America where health and happiness have been traded for processed foods, cheap Walmart goods, Paxil, and endless war. Kirkus Reviews likened Alexander’s Hamlet to Holden Caulfield (the angry hero of The Catcher in the Rye), but he is more like his namesake, plagued with doubt about the news that Horatio brings him. 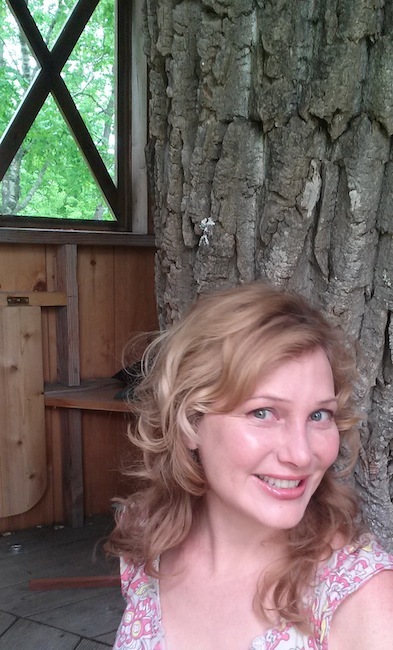 Victoria N. Alexander, PhD, is the author of three other novels, Smoking Hopes (Washington Prize for Fiction), Naked Singularity (Dallas Observer‘s “Best of 2003”), and Trixie, and a work of philosophy, The Biologist’s Mistress: Rethinking Self-Organization in Art, Literature, and Nature. Alexander’s fiction is published by The Permanent Press, one of the finest small presses in the U.S., which has been “turning out literary gems…on a shoestring,” since 1978, according to The New York Times. Locus Amoenus is set in Amenia, New York, an upstate rural community where Alexander’s family owns a sheep farm. 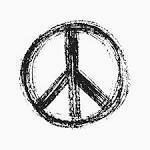 This entry was posted in literary fiction, politics and tagged #9/11novel, Big Agriculture, Big Pharma, childhood obesity, Intelligence Industry, locus amoenus, organic farming, sustainability, weapons industry on July 27, 2015 by VN Alexander. Saturday, June 27th at 5PM. About the novel: In this dark political satire, a 9/11 widow and her son, Hamlet, have retreated from Brooklyn to the idyllic rural countryside upstate, where for nearly eight years they have run a sustainable farm. Unfortunately their outrageously obese neighbors, who prefer the starchy products of industrial agriculture, shun their elitist ways (recycling, eating healthy, reading). Hamlet, who is now 18, is beginning to suspect that something is rotten in the United States of America, when health, happiness and freedom are traded for cheap Walmart goods, Paxil, endless war, standard curriculum, and environmental degradation. He becomes very depressed when, on the very day of the 8th anniversary of his father’s death, his mother marries a horrid, boring bureaucrat named Claudius. Things get even more depressing for Hamlet when his friend Horatio, a conspiracy theorist, claims Claudius is a fraud. The deceptions, spying, corruption, will ultimately lead, as in Shakespeare’s play, to tragedy. This entry was posted in literary fiction and tagged #9/11novel, 911 fiction, 911 novel, Big Agriculture, Big Pharma, childhood obesity, Intelligence Industry, literary fiction, weapons industry on June 20, 2015 by VN Alexander. Kevin is such an interesting and intelligent person to talk with. In the course of the hour-long interview, I was drawn into mentioning a thing or two about my favorite philosopher C.S. Peirce in relation to the plot of one of Pynchon’s earlier conspiracy novels, The Crying of Lot 49. Years ago I wrote about Pynchon and the link between teleology and conspiracy theory, here. We went on about Noam Chomsky’s ridiculously unscientific, because unfalsifiable, “theory” of universal grammar. (Chomsky has sent some hate Kevin’s way because Kevin has said that sometimes some people in or associated with the U.S. government some times to do corrupt things.) With his semiotic theory, my favorite philosopher (uh oh, Peirce again) explains the emergence of grammar much better than Noam. (Terrence Deacon provides a good slap down of Chomsky in The Symbolic Species.) And yes, we did talk about Locus Amoenus too, as well as Tom Breidenbach’s book of poems Wicked Child/IX XI. Tom, a mutual friend, was the initial inspiration for the Horatio character in my novel. This entry was posted in literary fiction, politics and tagged #9/11novel, #bleedingedge, #chomsky, #IXXI, #kevinbarrett, #tombreidenbach, 911 novel, Big Pharma, conspiracy theorists, crying of lot 49, Intelligence Industry, political satire novel, pynchon, sustainability, weapons industry on June 11, 2015 by VN Alexander.